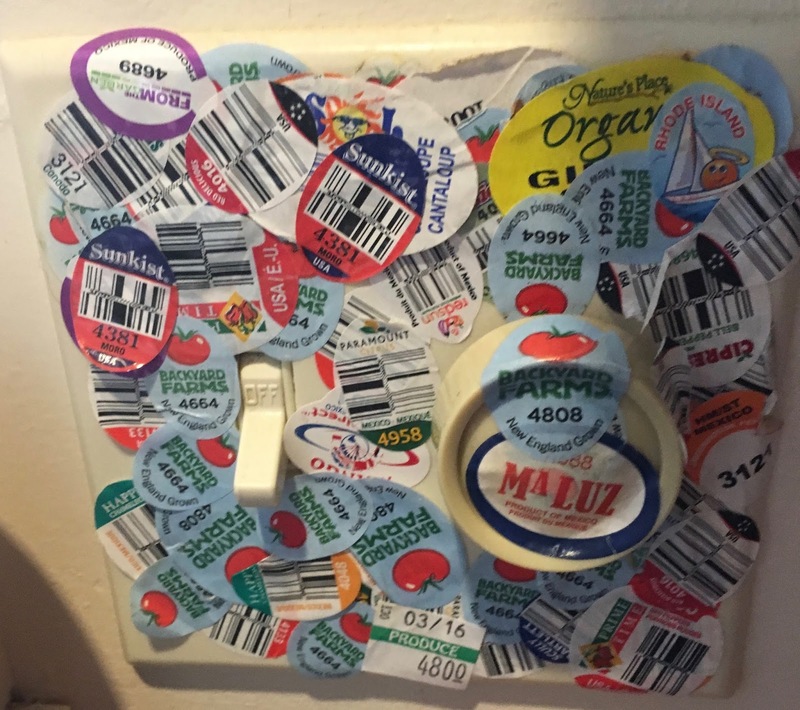 Merry Meeting Menus: The making of a Shrub. Drink Mixology on a whole new level. Blood Orange Shrub. The making of a Shrub. Drink Mixology on a whole new level. 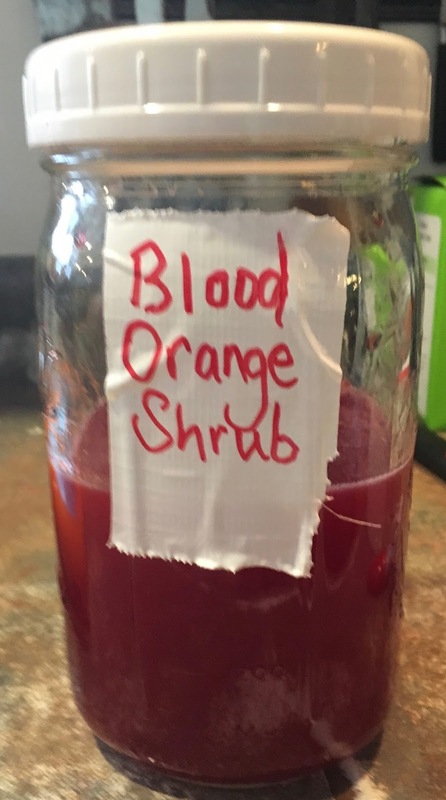 Blood Orange Shrub. Now seriously, who knew that a Shrub is a food item!? A shrub is " a combination of fruit, sugar and vinegar. 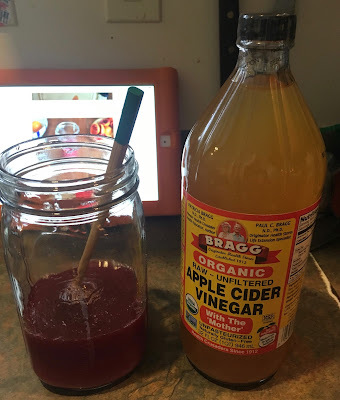 When left to sit for a few days (or even longer), they develop a deep, sweet-tart flavor that is a wonderful addition to a glass of sparkling water, a batch of salad dressing, a fancy homemade cocktail, a marinade for meat or vegetables, or to a pan sauce. If you remember the essential ratio of one part sugar, one part vinegar, and a generous handful of fruit of some kind, you’ll be good." Today I made two shrubs. I first made a blood orange shrub because of its beauty and Vitamin C boost, much sought after when I have been plagued by illness after illness this winter. The beauty of the blood orange is the other reason I chose this shrub! I used THIS recipe at Food in Jars. 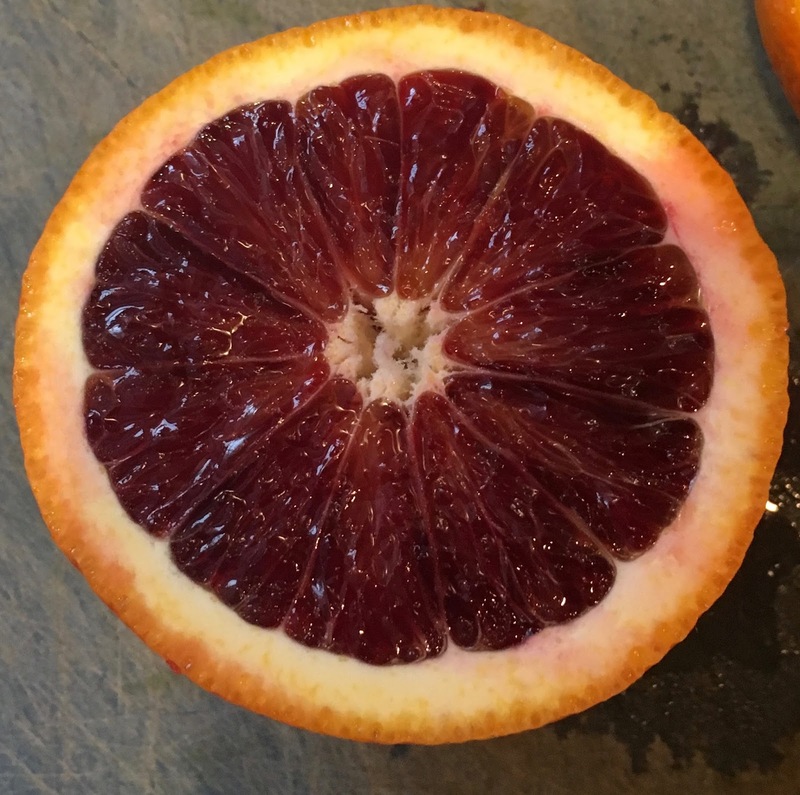 I juiced four blood oranges and yielded about 1 cup of gorgeous red juice. I used a wire sieve to filter out the pulp. I then added one cup sugar and let it sit for about an hour, stirring when ever I had the chance. At the end of the hour, when all the granulated sugar had dissolved, I added 3/4 cup of Bragg's Apple Cider vinegar. It is resting in the fridge until next weekend when I will break it out for some sparkling cocktails during our pasta party to try out the salt preserved eggs!